Well, with my limited playing time, I got 3 UCs and 2 Bronzium with my Prestige base,not bad after all. Just get it over with and dump medals. They'll come back. 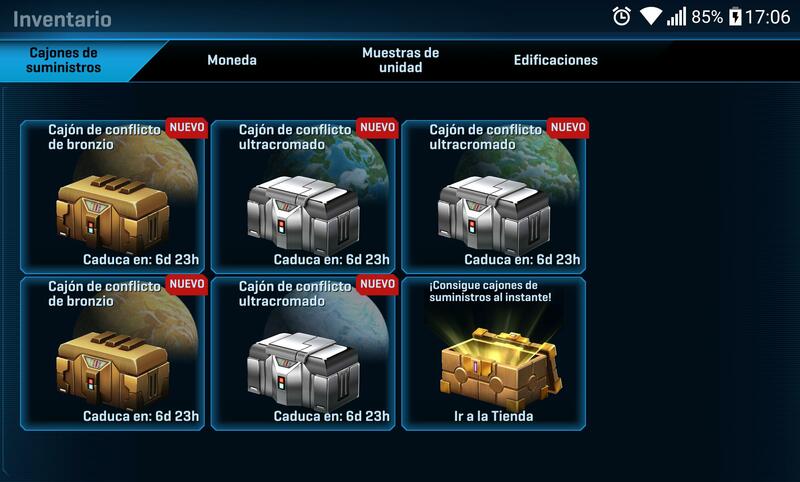 Josketer wrote: Well, with my limited playing time, I got 3 UCs and 2 Bronzium with my Prestige base,not bad after all. With lots and lots of playing time I got 1 UC and 5 Bronzium - what is wrong with this game? Last edited by DeathStriker on Thu Apr 11, 2019 5:44 am, edited 1 time in total. Boog wrote: Just get it over with and dump medals. They'll come back. Gotta agree with my man Boog here. You know what the problem is it's been explained enough You're at the point with maxed out medals where you'll be facing the elite of the elite. and if you want to compete you're gonna have to dump. There were dev bases for rebels at high medals on tat, erkit, and yavin this week. I also got UC on dando by culling the herd. You are on aussie hours, yes? Off-peak hours leads to more difficult matchmaking. Needed 29 frags for level 7... did that with a variety of levels across the galaxy. Very good point! I see far more dev bases during peak hours! I see the most during 2-6 EST on Sat & Sun and 4-5 on weekdays and the best time is the last 4 hours of the conflict. My Rebel account was seeing plenty of dev bases on Yavin and Hoth in addtition to Erkit and Tat. Hoth is actually the easiest world to grind on for both sides since the cold weather skins are so powerful that you can pretty much steamroll any player base! It's funny watching those skinned GR snipers shooting at skinned Tauntauns (which take a ton of hits to go down) all the while the hail fires melt the skinned burst turrets. Any SC troops that pop out also shoot at the Tauntauns while my jets take them out. Hoth is the best world right now! Last edited by DeathStriker on Fri Apr 12, 2019 1:57 pm, edited 2 times in total.